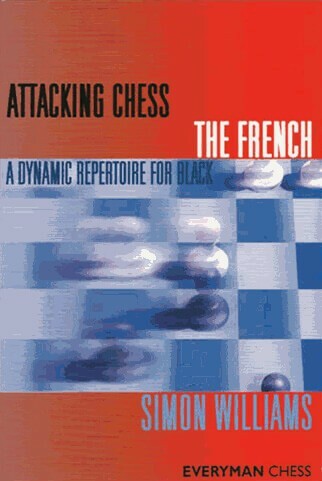 Grandmaster Simon Williams presents an ambitious opening repertoire for Black in the ever-popular French Defence. One of the world's most creative players combines his attacking talent with the traditionally solid French structure, resulting in a powerful armory of opening weapons. This will prove ideal for players who like to seize the initiative and cause problems for their opponents from the outset. Williams' recommendations in the French are based on his own repertoire which he has successfully employed at Grandmaster level. Attacking Chess is a brand new series of opening repertoire books. It focuses on traditional attacking openings, as well as creative and forceful ways to play openings that are not always associated with attacking chess. It provides ambitious repertoires designed for players of all levels. Illustrative games explain typical plans and tactics.